This buck came from Unit 32. We stayed in a motel in Safford and lucked out but "I'd way rather be lucky than good." Matt Anderson took this 90's buck in Unit 28. He wanted a big muley but we couldn't get the right shot on a huge non-typical. The last evening he shot this "will do" buck on December 31st. 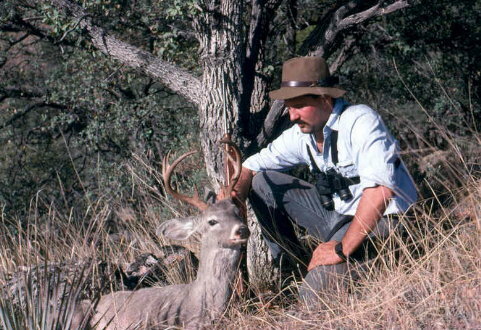 This nice buck was taken in 30B when there used to be a sizeable herd of deer in that unit. It has fallen on hard times recently and without moisture the herd is scarce. There were 8 bucks with this one. 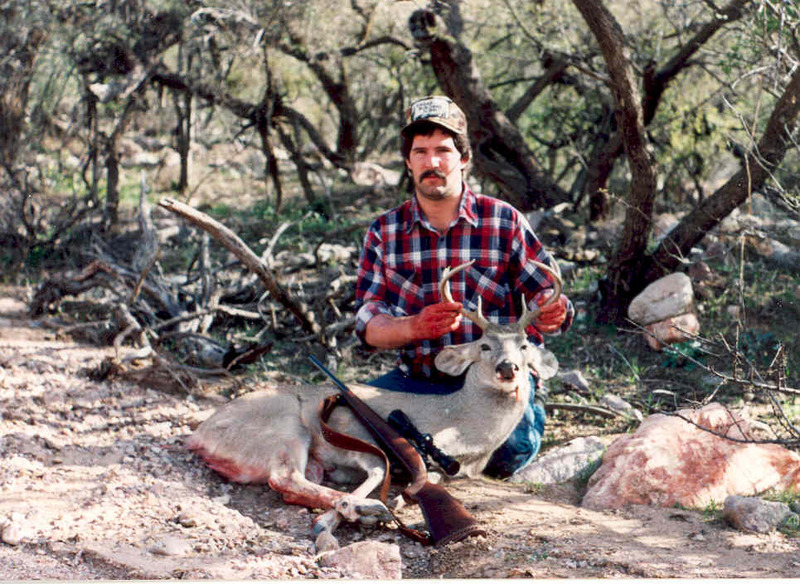 Joe Frazier shot this mid-90's buck in Unit 29. 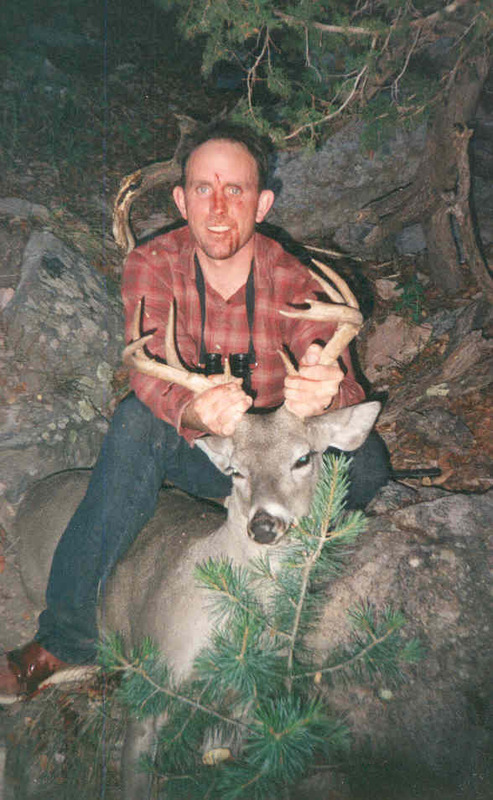 The blood on his face is due to "scope rash" from a 300 Weatherby Magnum. Those guns kill on both ends!